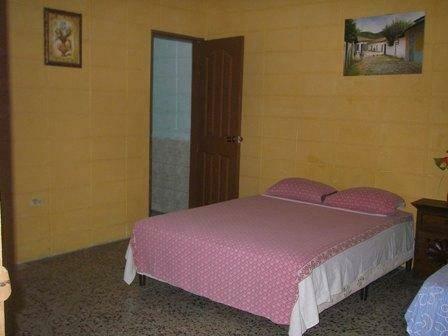 ﻿ Best Price on Guesthouse Dos Molinos B&B in San Pedro Sula + Reviews! Located just 1148 feet from Multiplaza Mall, Guest house Dos Molinos B&B offers free breakfast and free transfers to and from San Pedro Sula Bus Station. 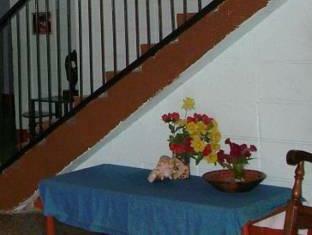 The air-conditioned rooms include free Wi-Fi and cable TV. Guest house Dos Molinos is located in San Pedro Sula’s main shopping district, within a 10-minute walk of many restaurants and bars. Central Park and the historic city center are 0.9 mi away. Each simple room has views over the street or a quiet internal courtyard. All rooms have a private bathroom with a shower and free toiletries. Dos Molinos B&B has a 24-hour reception, where staff are happy to arrange airport transfers or provide information. Free private parking is also available on site.